Perception is my final M.A. project at SCAD. 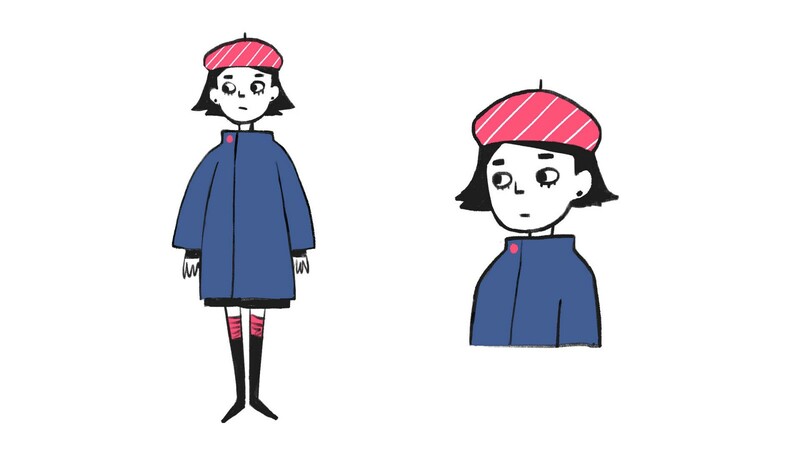 It is a 2 minute animation about a girl and her exploration of life. In this project, I wanted to tell a story in an abstract and non-linear way through a mix of vectors and cel-animation to create a unique visual style. “Perception” is about a girl and her exploration of life. 酪梨蘋果沙拉設定。Avocado Apple Salad (Character Design). The main character of this project — Avocado Apple Salad — was created while I was making Paradox, which was an animation that portrayed common human emotions through multiple characteristics. For more details of this project, please check my website. 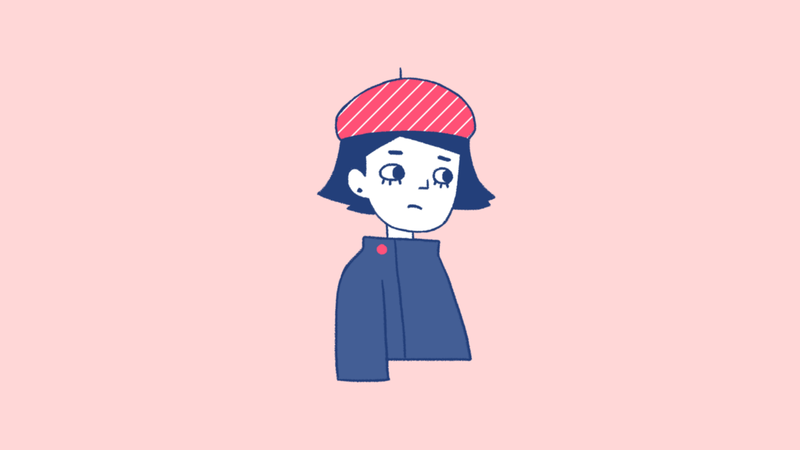 After finishing Paradox, I found that there was more I could do with that character and the style it presented. So I decided to extend the idea and created another project with Avocado Apple Salad, but with a more concrete concept. That aside, I also wanted to show the animations from Paradox again in the new project to connect these two works and add more fun! That was the original intent of Perception. 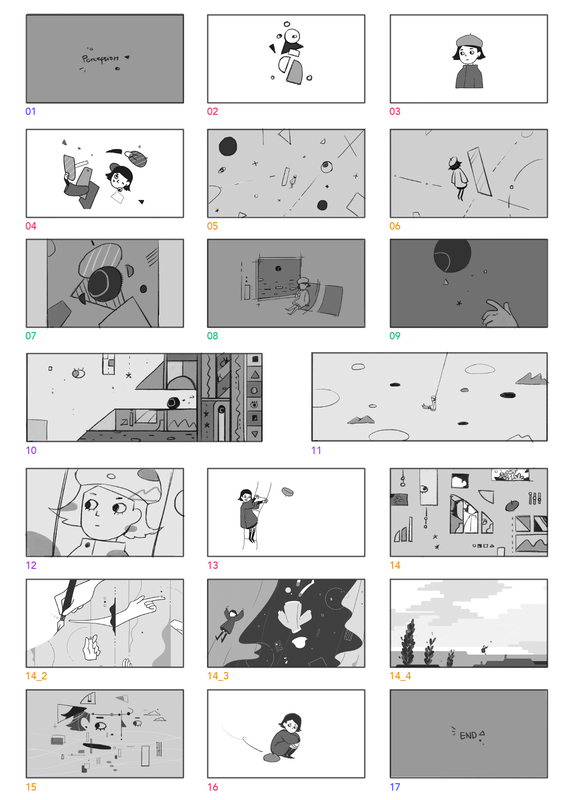 Since the concept and story were decided, the next part was to create the storyboard. 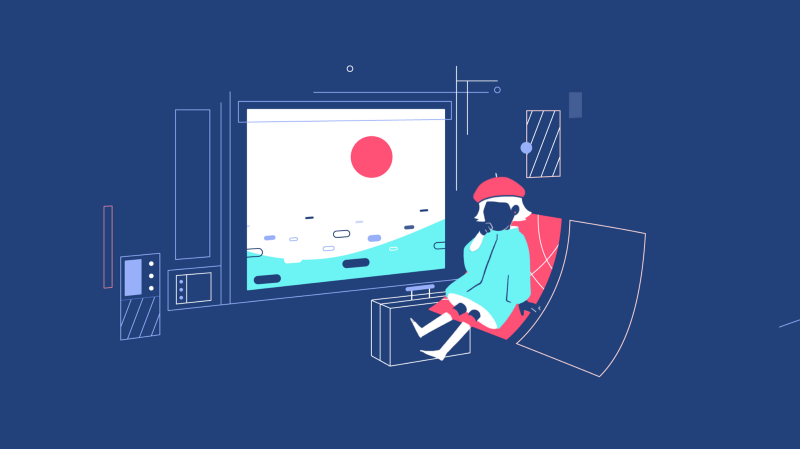 The narrative of the project focused on showing the character traveling through several different worlds. To separate those styles, I used multiple colors to distinguish the various scenes. The same colors mean that those scenes are from the same world, so they will be in the same style. 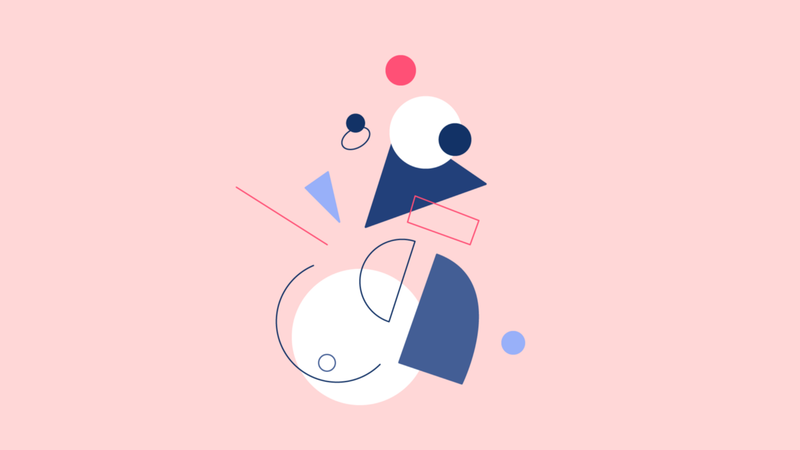 It makes it easier to create styleframes. Following that, I would decide the primary motion and the hierarchy in each scene to decide which part would be created by cel-animation, and which would be done in After Effects (Ae). 左圖為Ai向量製作，右圖為Ps手繪。The left pic is made by Illustrator, and the right is by Photoshop. For the styleframes I used both Illustrator (Ai) and Photoshop (Ps). Most of the vector parts are done in Ai. For the cel-animation ones, I draw them in Ps first before importing it to Ai. 左圖及右圖人物部分為Ps手繪，其他皆為Ai向量製作。 The character in the left and right pics are drawn in Ps. All the other part are made in Ai. 每個小框中的角色為Ps手繪(沿用Paradox的片段)，再匯進Ai合成。The characters are drawn in Ps (they are clips from “Paradox”)and imported to Ai to composite. 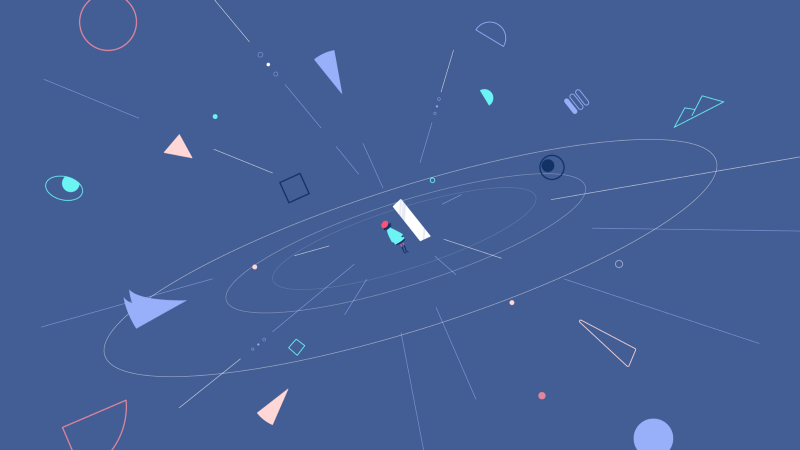 It is important to show the final layout and color in the styleframes. Because that helps me see if they have enough details and consistency. The more efforts made in this step, the fewer the things needed to change during animation. Before diving into the cel-animation, I will create an animatic first. The animatic is to help finalize the camera movement, duration, and primary animation of each scene. I imported all the styleframes from Ai and organized them in Ae. Since the cel-animation was not created yet, I will sample the position change of the still image to get the idea. After that, I export each scene separately and import it into Ps so I could follow the timeline of the animatic to do cel-animation. I use the script Overlord which works amazingly if you want to import an Ai file into Ae. I highly recommend it! 其中兩段動態腳本，用來確定鏡頭移動的速度跟大致的動態。In the animatic, I set up the camera movement and the duration. I cooperated with a composer in this project. After the animatic is finished, I was able to send it to him so he could determine the duration of each segment to start making the music and sound effects. And here comes the most important part of this project: to combine the cel-animation with the vector style. First, I set the frame rate at 15 fps to integrate these two different styles. So that the frame-by-frame animation wouldn’t look weird or not jittery compared with the Ae animation. Following that, I imported each animatic and started drawing each frame in Ps. From sketch, clean up to coloring, all are all finished in Ps. It is the most time-consuming part of the project. It took me 4–5 weeks to draw all the frames that I needed. 使用Ps裡的工作區域功能(Artboard)可以同時預覽多個視窗。 Creating many artboards in Ps makes it easier to follow the actual timeline. 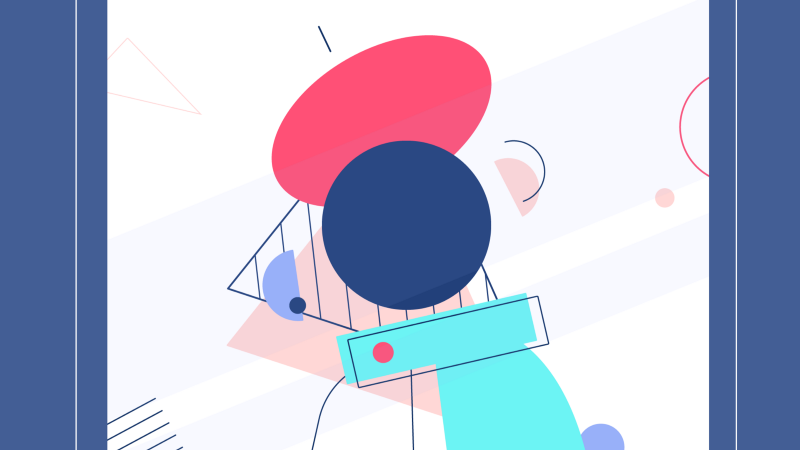 It is helpful to create different Artboards in Ps for the animatic and sketch layers. It makes it easier to follow the actual timeline while I am drawing the cel-animation; this is so I wouldn’t draw too many or too little frames before realizing it during the compositing. Changing the stroke size after exporting the frames is not something easily done. In order to make sure they look good, I added a low opacity styleframe layer under the sketch layer so I could always follow it and reference if I needed to adjust the stroke size. The frame rate setting in Ps is also 15 fps. I use Video Group (highlighted in the timeline by the purple) to do all the cel-animation because sometimes I don’t draw every frame, but only between every two or even three frames. It is easier to use Video Group to manage or extend the frames in the timeline. After clean-up and coloring, I render all the layers individually, but it takes so much time and create a ton of files! If you know a better to way to get around this process to render, please let me know! 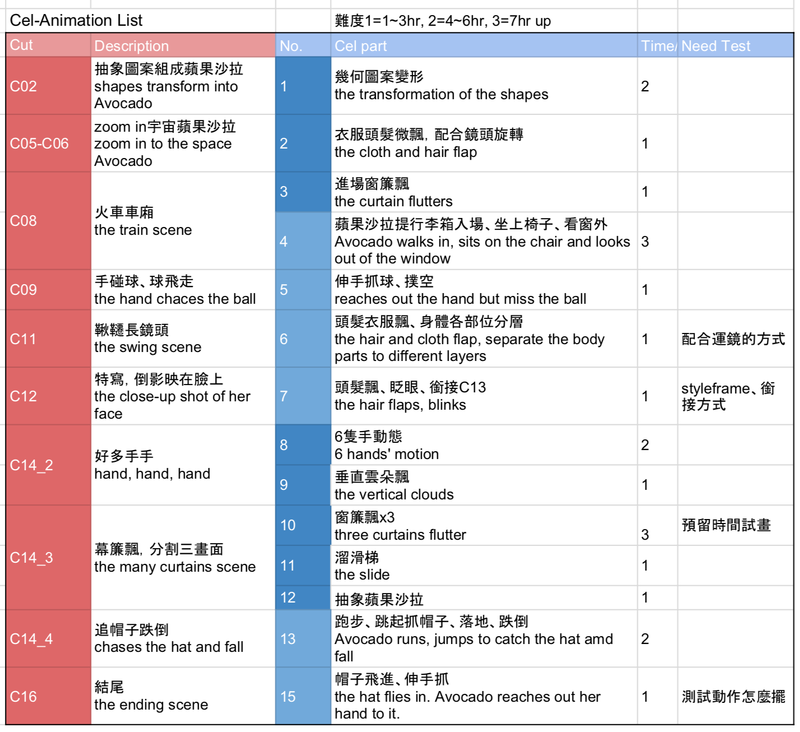 I have a schedule only for the cel-animation since it is the messiest and most difficult part of this project. The different numbers represent different levels. The greater the number is, the more time the scene takes. After summing up the total number and dividing it by my working days, I would figure out how many scenes I need to finish every day. The last step is to combine everything together in After Effects!! There are no special tips for this part. The animatic’s duration was correct, the cel-animation was following the final timeline, and the files were well managed. All I needed to do was to import everything and it would look good. Of course, there were some details that need to be adjusted, but overall this working process is very efficient. 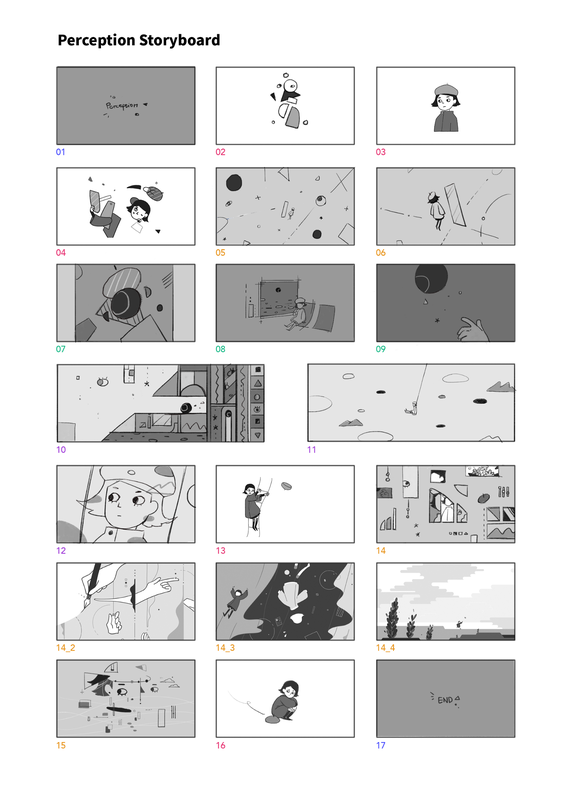 Following are the animatic, cel-animation, and final version of different scenes. 動態腳本、草稿、完成畫面比較。 The animatic, cel-animation sketch, and the final version. First is the scene where the shapes pop out and transform into the character (00:13–00:17). 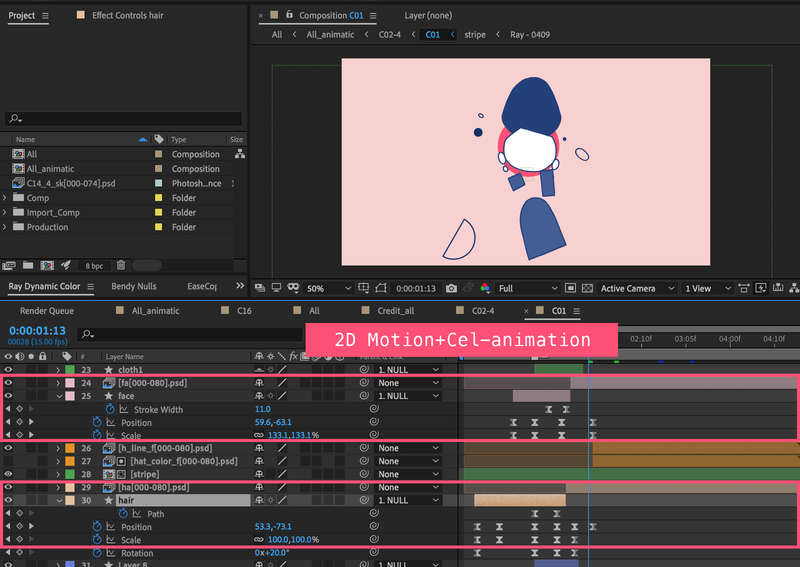 It begins with Ae motion and then is connected with cel-animation. What I did was to create a rough motion in Ae, and then followed the motion to draw “morphing” part in Ps. After, I would go back to Ae to replace the last half shape layers with sequences that I had made. 紅圈部分圖層前半段是Ae動態，後半段再接上Ps繪製的逐格。The first half part is the shape layer, and it is connected by psd sequences. Secondly, I want to also elaborate on the swing scene (00:55–01:01). After making the animatic, I drew all the body parts separately in Ps, including the flipping beret and cloth, and then went back to Ae, while animating the body parts according to the position of the swing and the rope. Perception is my last project at SCAD. It includes everything I’ve learned, felt, and perceived in this one and a half year duration. It was the first time I had spent so much time on a personal project. So I was actually very worried about finishing it. However, I was lucky to have much support from my friends, family, and professors — which helped me a lot during the process so I can complete everything on time. Also, I love the music so much in this piece! It has elevated my animation to another level! I would especially like to thank my composer for such great work! This is my first time writing in both Chinese and English. Thank my friend Nicole to help me edit the English version! Love you so much! This article is mainly about the production process and skills. I will write another one following it to talk about the concept and the meaning of each scene! See you next time!